Connect your Wordpress site with your ConvertKit account. Skip the coding and go straight for the ConvertKit WordPress Plugin. With our WordPress plugin, you can add ConvertKit Forms to the bottom of any page or post, on your WordPress blog, without ever having to deal with code. Just install the plugin, add your API key, and select a Form! One thing to remember: this works for all .org WordPress accounts, as well as the .com Business accounts. Step one is to download the plugin. Then you'll upload it to your WordPress admin panel. Browse to the zip file and upload it directly to your site. Once it is uploaded click the "activate plugin" link. 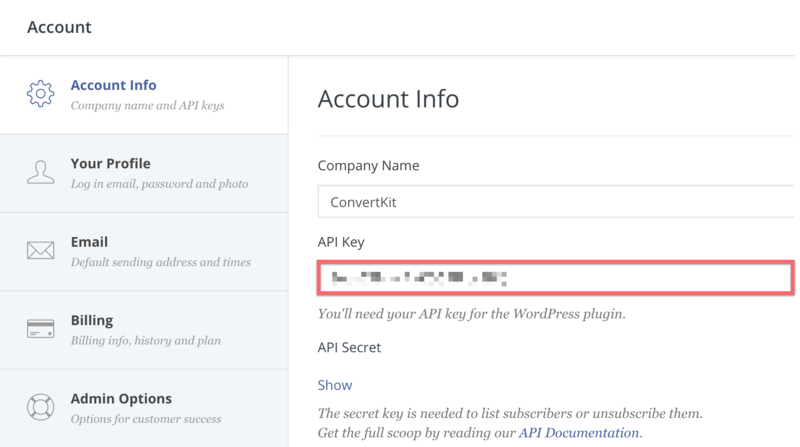 Next you need to sign into your ConvertKit account and copy your API key. This is what will allow the plugin to securely access your ConvertKit Forms. Once signed in, visit the Account page and copy your API key. Note: You can also find your API secret in your ConvertKit account by clicking "Show secret", and then pasting that as well into the WordPress plugin settings. 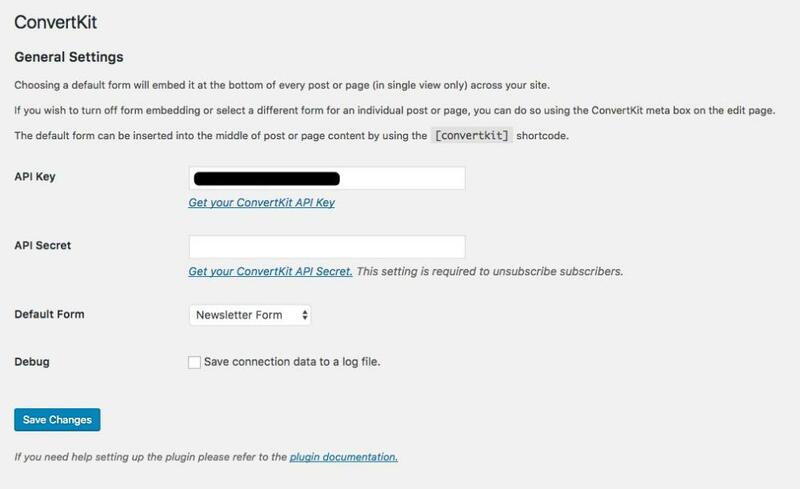 Back inside your WordPress dashboard for your blog, go to Settings > ConvertKit and paste in your API key. Then click Save Changes. Leave this set to "None" if you want to manually assign a Form at the category level, or on each post individually. 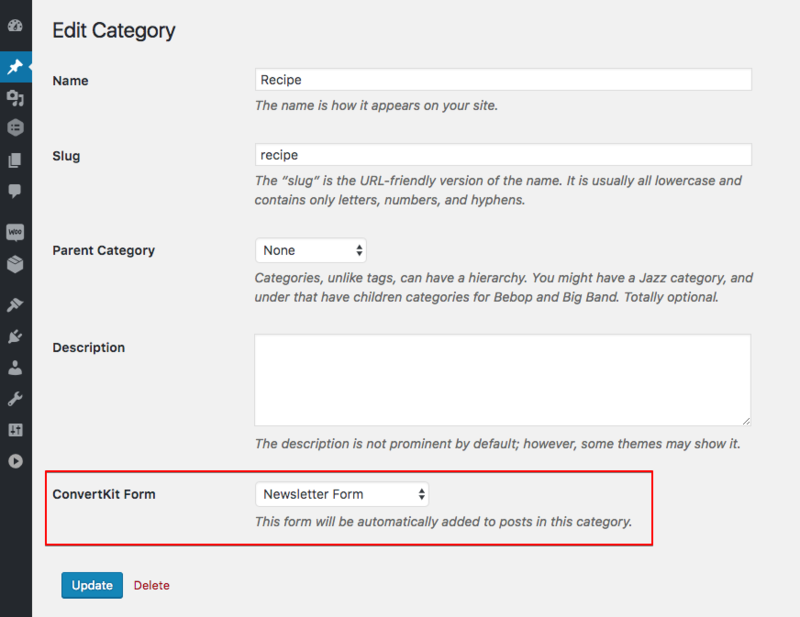 If you edit a post category you will see a box to set the ConvertKit Form for all posts in this category. The Form chosen here will override the default Form chosen on the plugin settings page. If a post has multiple categories, and each of those categories have a Form assigned, the Form from the newest category will be displayed. Only one Form will be shown. NOTE: the theme may need to support this feature for it to show up. If you edit a post on your blog, you will find a new box added below the content editor for the ConvertKit plugin. Any Form chosen here will override the category Form and default setting on the plugin settings page. You can choose any ConvertKit Form that will be shown just on this post. Or you can choose "None" if you don't want this post to have a Form. At anytime you can choose "Default" to use the default Form chosen on the plugin settings page. You can also add a ConvertKit Form widget to your sidebar, after an entry, or anywhere else it makes sense for your blog. Just drag and drop! A great example: When Nathan writes about productivity, the Form at the bottom of that post gives away his Productivity Manifesto. This plugin—combined with your ConvertKit account—is the best way to capture Subscribers with Forms relevant to each post. 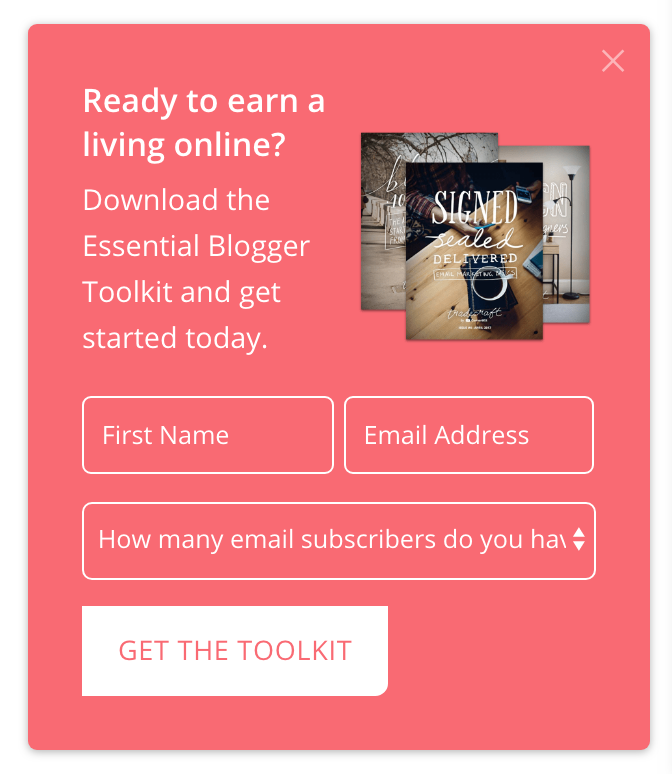 If you don't already have a ConvertKit account, sign up here. Add Tags to Subscribers when they visit a specific page and display content on your pages, based on the Tags a Subscriber has! Custom content features are available starting with ConvertKit for WordPress version 1.5.0. To enable custom content be sure to log in to your ConvertKit account, go to Email Settings and check the "Add subscriber_id parameter in email links". 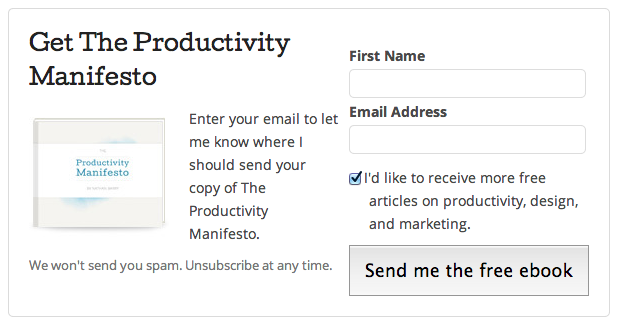 This will make sure existing Subscribers who click through an email are identified as Subscribers. Visitors who subscribe to a Form on the website will be identified as Subscribers automagically. In the WordPress page or post editor, the ConvertKit options now has an "Add a Tag" option. Select a Tag from the drop down to apply to visitors of this page. If a visitor has a "ck_subscriber_id" cookie and they visit the page, the selected Tag will be added to their profile in ConvertKit. You can customize the content that is displayed on your website for existing Subscribers, based on the Tags they have. With this you could change the content of blog posts for repeat visitors, or on sales pages for existing customers choose to upsell them on a different product. In the WordPress page editor there is a ConvertKit icon in the TinyMCE editor. Press the envelope to open a window with a Tag drop down. Select a tag to display custom content for and press OK to insert the proper shortcode into the editor. Within this shortcode's start / end blocks you can add text and images and it will only be displayed for subscribers with the chosen Tag.